Electronic Arts wrote: From Respawn Entertainment comes a brand-new action adventure game which tells an original Star Wars™ story around a surviving Padawan set shortly after the events of Star Wars™: Episode III - Revenge of the Sith™. The game will be releasing Holiday 2019. 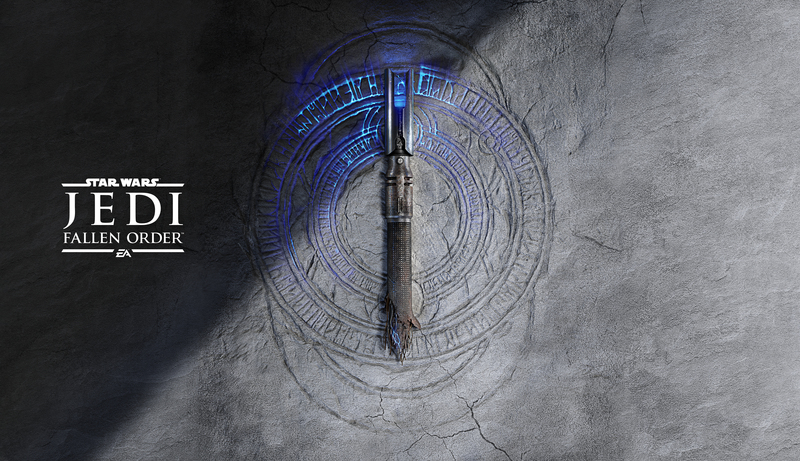 Sign up for our newsletter to be among the first to learn more about Star Wars Jedi: Fallen Order™. Respawn Entertainment wrote: REDWOOD CITY, Calif.--(BUSINESS WIRE)--During a panel today at Star Wars™ Celebration in Chicago, Respawn Entertainment, a studio of Electronic Arts (NASDAQ:EA), announced that Star Wars Jedi: Fallen Order ™, a new third-person action adventure game, will launch on November 15, 2019 on Xbox One, PlayStation®4 and PC via Origin™. The game will feature an authentic story set shortly after the events of Star Wars: Revenge of the Sith™, when the Jedi have fallen. Fans will play as a young Padawan named Cal Kestis, brought to life by Cameron Monaghan (Shameless, Gotham), who has survived Order 66, the Emperor’s secret decree to eliminate all Jedi. Players must pick up the pieces of Cal’s shattered past to complete his training and master the art of the iconic lightsaber - all while staying one step ahead of the Empire and its deadly Inquisitors. The trailer looks decent, I'd be sold on the game if they can best the Jedi Knight games.